Don’t Forget About After School Exercise! Think how you felt the last time you sat working in a desk for six hours. Was your back stiff? Did your head feel fuzzy? After a long day at school kids feel the same way that parents do after work, especially with recess and PE time being cut in many schools. In fact, students spend an average of just 26 minutes at recess, if their school even offers it. That’s less than half the recommended amount of daily exercise. Even if schools offer recess to students, it can be taken away for bad behavior or missed assignments, which cuts into active time even more and can actually lead to worsened behavior problems. How can parents increase the time their kids spend exercising? That’s where Rainbow Skateland in Lockport, NY comes in! Check out our schedule; we have after-school skate sessions most days of the week. Bring your kids to Rainbow between school and home to let them work off some of that extra energy and clear their heads before starting homework, chores, and other evening activities. Roller skating is a great way to get exercise and have fun at the same time. According to research, most kids simply don’t get enough physical activity in their day-to-day life. The habits we learn as children impact us through our lives–teach your kids to value exercise now and they’ll continue to do so as they grow up, leading healthier, happier lives. 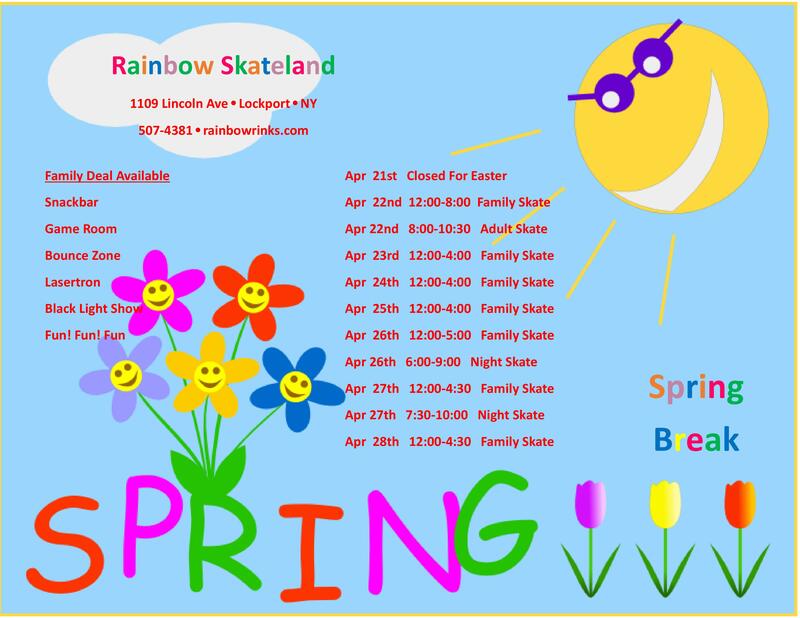 Plus, skating is an all-ages activity, so parents can join in at Rainbow Skateland!